Editor's Note: Kali B. ('18) created this artistic geometric piece in her geometry class using a computer application called Geogebra. Creator's Note: This was a Geogebra assignment where we had to use the transformation and rotation tools to create a masterpiece. 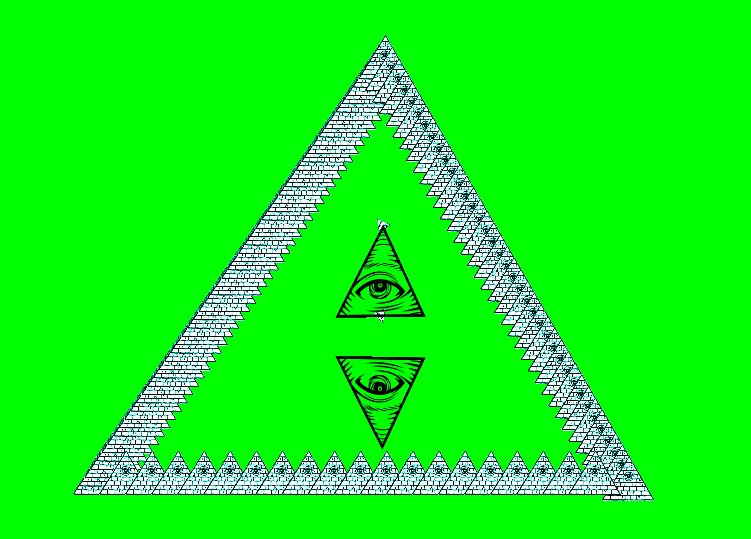 I chose to represent the Illuminati by taking a bunch of pictures of the Eye of Providence (symbol of the Illuminati) and creating a giant Eye of Providence.